The idyllic and iconic image of the 1950s perfect housewife and domestic goddess is about to be shattered in an unsettling new comedy, Home, I'm Darling, a co-production between the National Theatre and Theatr Clywd. Every couple needs a little fantasy to keep their marriage sparkling. But behind the gingham curtains, things can start to unravel, and being a domestic goddess is not always as easy as it seems. 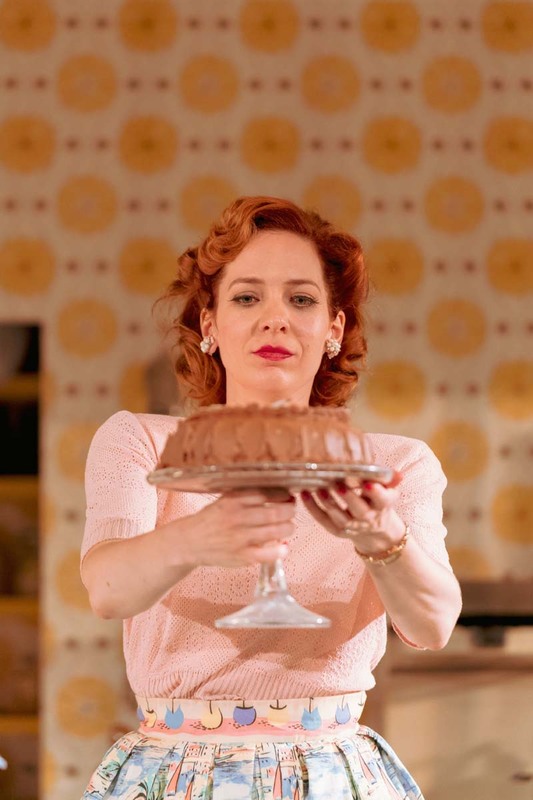 Laura Wade’s Home, I’m Darling features Katherine Parkinson (The IT Crowd, Humans) as Judy on one woman’s quest to be the perfect 1950s housewife, Artistic Director of Theatr Clwyd Tamara Harvey, will direct this co-production which opens in the Emlyn Williams Theatre on July 3 ahead of transferring to the Dorfman Theatre on July.24. The cast also includes Kathryn Drysdale, Sara Gregory, Richard Harrington, Barnaby Kay and Sian Thomas.